Resources for on-station livestock research in many developing countries are limited, and it is common for researchers to have little direct interaction with smallholders. On-farm research offers considerable attributes, which include attention to most significant production constraints, opportunities for meaningful studies, and greater adoption by smallholders of advantageous technologies. However, few researchers perform on-farm livestock research, at least partially because of inadequate training and knowledge of the design and conduct of on-farm experiments, statistical analyses and interpretation of resultant data, and preparation of reports suitable for peer-reviewed journals. 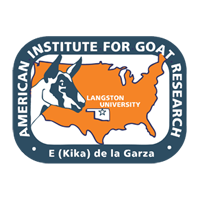 Thus, a publication has been developed as a resource for training in methods of applied livestock research, with special attention to treatments, design, implementation, analysis, interpretation, and peer-reviewed articles. The target audience is junior to mid-level professionals (e.g., MSc) and graduate students in developing countries. In addition to US participants in the publication project, there are foreign collaborators and evaluators from Ethiopia, India, China, Jordan, Mexico, Israel, and Japan. Major sections of the publication include: introduction; on-station vs. on-farm research; topic identification; protocols; experimental design; treatment considerations; experiment implementation; statistical analyses; dissemination with an emphasis on preparation, review, and revision of scientific manuscripts; and literature cited. Furthermore, a key component is the design and analysis of numerous example study scenarios, such as: farmer research groups – missing data, nature of the data; individual smallholder households – household animals on one treatment, household animals on each treatment, missing data and household animals on one vs. each treatment, households with subplots; group or village as fixed vs. random; studies in different seasons or years; year-round performance monitoring – continuous and categorical variables; and crossovers, switchbacks, and Latin squares. There are also comparisons of P values from different analyses (e.g., SAS® GLM and MIXED and GenStat®). Appendices contain the relevant statistical analysis statements and inputs, results, and simulated data sets. Workshops based on the publication were held during 2013 and 2014 in Kenya, Ethiopia, China (two sites), Jordan, Malawi, Mexico, and India (two sites) to create awareness of the resource, train junior researchers, and receive feedback for publication enhancement, with well over 200 attendees. After external peer-review, in the fall of 2014 hardcopies will be distributed and the publication made available free on the Institute’s website (www2.luresext.edu). The project was supported by the USDA Foreign Agricultural Service (grant/agreement number: 58-3148-2-175).